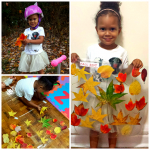 Today I got to spend some time with one of my favorite little cousins! 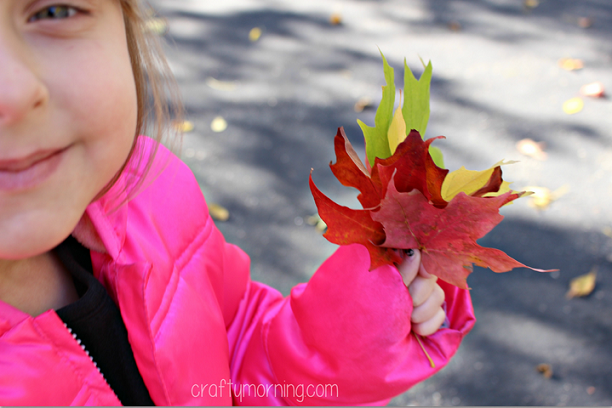 We decided to go on a walk and find out favorite fall leaves. 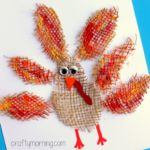 We turned them into some feathers and made a little turkey craft! 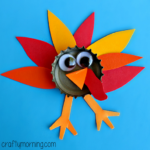 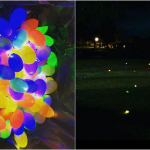 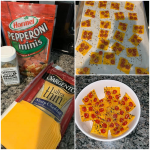 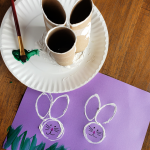 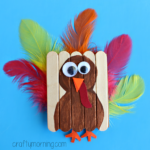 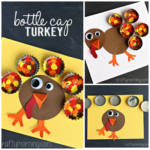 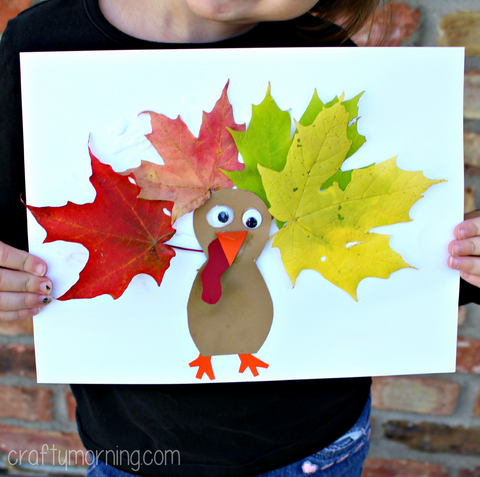 This is fun activity for a Thanksgiving art project and younger kids can make it as well. 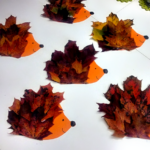 Start by going on a leaf hunt and find the most beautiful ones! 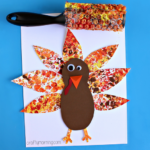 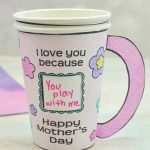 Glue a few leaves onto a white piece of paper. 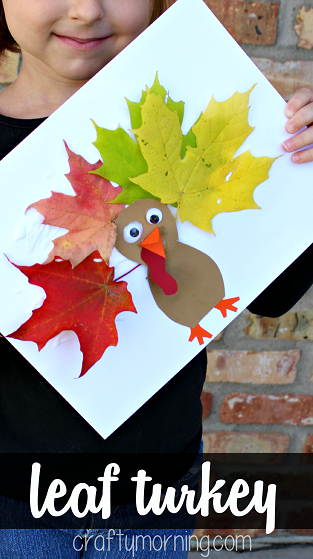 Cut out a turkey body with brown paper and add some eyes, beak, gobble, and feet! 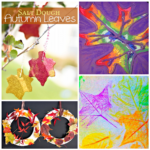 The colors of the leaves are gorgeous! 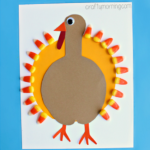 I think this would be a great craft to keep kids busy while the adults are getting ready for Thanksgiving.